Many of you must have had experience with Samsung phone at one time or the other. 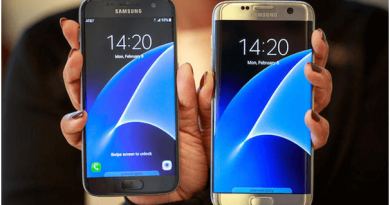 The Galaxy series of Samsung are the best smartphones and are quite popular especially the Galaxy 6 and 6 S Plus. Still many of you must be using your Samsung Galaxy S5 which has some awesome features like a 16MP camera with a 5.1” FHD Super AMOLED display, a fingerprint scanner, a built-in heart rate monitor and also is IP67 certified Dust and Water Resistant. But do you know there are few other features which you can bring forward by following these 10 tips and make full use of it. The touch sensor on the Galaxy S5 is sensitive that it can even recognize it when you’re tapping, swiping or writing on it with a pencil. 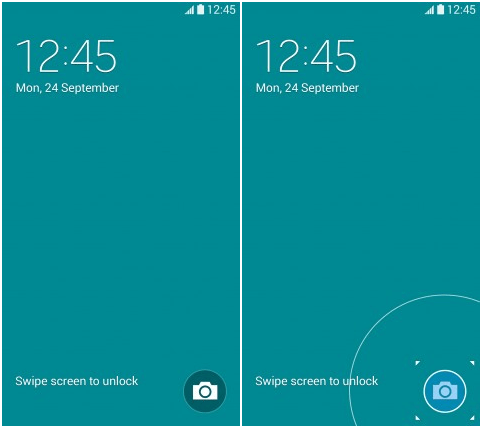 Tick the ‘Increase touch sensitivity’ feature or select ‘Touch sensitivity’ among the 22 quick menu icons by pulling down the status bar with two fingers. Now you can instantly send text messages, send files, and take pictures with your fingers, a gloved hand, your fingernail or even a pencil! To customize your Playlist there is a trick to do. What do you do then? 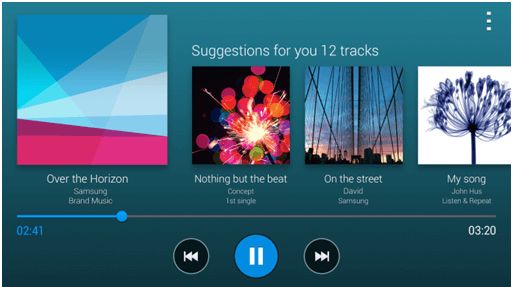 Tilt the Galaxy S5 horizontally into landscape while listening to a song via music player, and your Galaxy S5 instantly suggests similar tracks among the songs stored on your phone based on information of the current song, such as its genre, mood, source, etc. ‘Toolbox’ is a small widget that opens and closes like a mini-folder or app-drawer. It’s small and round and you can move around just about anywhere on your screen. Place your favorite applications here and access them quickly whenever you need them. You can either tap the ‘Toolbox’ icon on the quick panel (swipe down the status bar), or go to Settings and tap ‘Toolbox’. A white circle-shaped icon with three dots inside will appear on the screen. Press and hold the icon and drag it to the Edit button, and then you can customize which apps appear on the floating Toolbox menu. The floating shortcut menu will be shown and can be activated on every screen, which makes it really useful for multi-tasking! 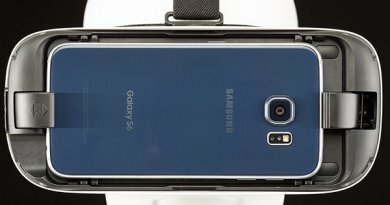 To protect your messages, pictures, and voicemails from other people the Galaxy S5 features a ‘Private Mode’ to hide these personal documents. 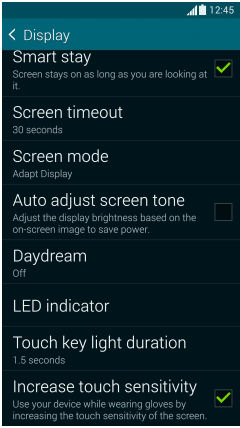 To activate this mode, you first need to choose how you will unlock the screen in the private mode. To do this, go to Settings then tap ‘Private mode’. After selecting the contents you want to hide, press Menu, and then touch ‘Move to private’ and a lock key will appear next to the contents, protecting them safely. Data that is protected like this will only appear in the private mode and not in the normal mode. Remember but one thing that if you forget the passcode to unlock the screen you will not be able to access your “hidden” contents. These days kids too play with your smartphones and when they do, it is a worry for the parents that their kids might get information not suitable for them or that their kids might delete some important data. 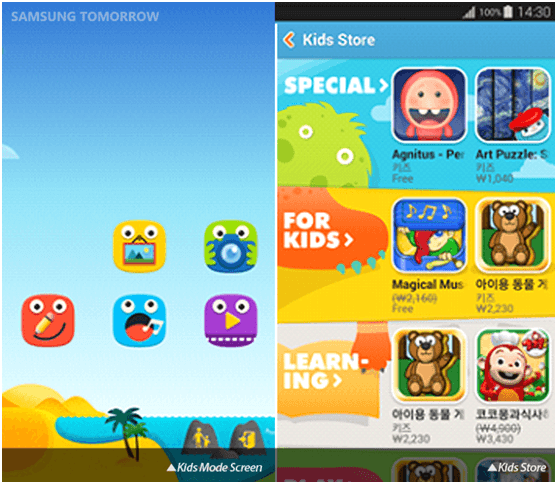 Samsung launched a new ‘Kids Mode’ on the Galaxy S5 which makes your phone safer for/from kids. With a cute UX design, Kids Mode provides fun and safe content for children. Also, you can allow and restrict access to applications and media content stored on your device by following a few quick steps. Go to the Kids Mode widget at home screen, you can download this app. After downloading, a Kids Mode screen will be created. Select the applications that your child is allowed to use. 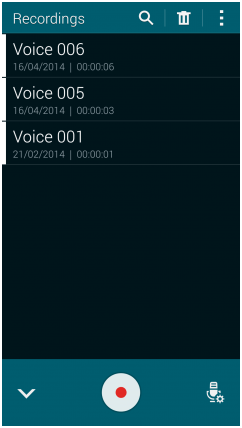 By default, it provides camera, painting, voice recorder, and video apps. To download various games and learning apps for kids, go to the Parental Control at the bottom right side of your screen, and Menu at the upper left, and then ‘Kids Store’. If you download a new application, a gift box appears on the Kids Mode screen. Tap this box and an app will be created as it opens. On a special day, install apps your child wanted and give them as surprise gift! On Kids Mode, you also can limit the time your kids can use your smartphone. As an example Tap ‘Parental Control’, ‘Menu’, and then ‘Daily playtime limit’ and you can set daily time limit no longer than 3 hours. Furthermore, you can check the activity history total playtime and most frequently used applications for last 30 days. The ‘Virtual Tour’ is a feature that allows you to take pictures as if you are giving a tour of the surrounding area to viewers. 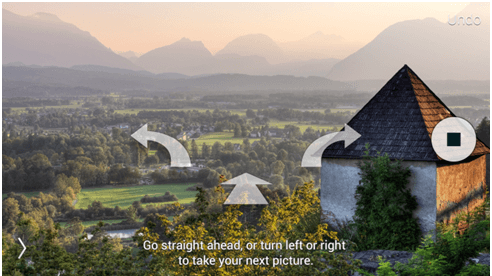 After putting the camera in the virtual tour mode, by moving the camera according to the guided arrows that point forward, left, or right, you can take shot after shot of the same background. With the pictures together, you will have a ‘moving picture’ like a ‘gif’ image. You can also share tours of your house or neighbourhood with friends and family too. The ‘Shot and More’ mode allows you to edit pictures and apply various effects immediately after taking your shots. In this mode, you can choose the best photo from several taken in rapid succession, using diverse features such as best photo, best face, drama shot, eraser, and a lot more. If you set ‘Priority Senders’, the contact lists of your priority senders will be displayed on the top of the messaging app as an icon. Just by tapping this icon, you can send or receive messages right away. Go to the Messages app, tap ‘+’, and then select Priority Senders to add up to 25 people. Galaxy S5 provides caller information while you make or receive a call, and even while you are busy with your phone. Go to the Settings, tap Call, and select ‘Show caller information’ check box. Then the callers’ recent social network activity (Google+) and the history of your communication with them will be displayed. In case of an incoming call while using an application, the app is stopped and the Incoming call screen appears, in general. 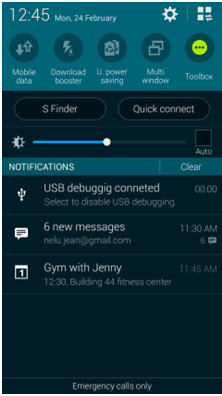 Note that Galaxy S5 supports ‘Call Notification Pop-Ups’ functionality, enabling a multi-tasking; receiving a phone call while using other applications at the same time. Go to the Settings, tap Call, and select Call notification pop-ups check box. The incoming call notifications in pop-ups will be displayed if an application is open on the screen. Also if you tap the speaker icon on the pop-up screen, you can receive a call and keep using applications. Do you any of the more features and tips? Do share! 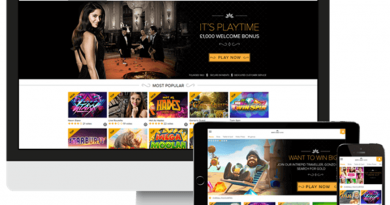 ← How to play Samsung Mobile Casino Cruise Pokies with Free Spins?